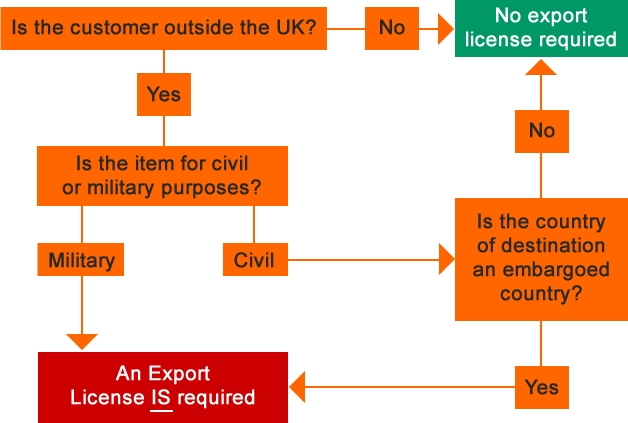 Will my order be subject to an Export Licence? The success of this company depends in large part on the business we do overseas. Export controls imposed by the UK Government and the European Community affect a high proportion of the products we see and many of our overseas markets. We must therefore understand the controls and be quite sure we comply with them. The purpose of these controls is to limit the supply of technology or strategic goods to countries proscribed, principally for reasons of proliferation, security, or terrorism. It is in the interest of us all that the controls are effective if it makes the world a safer place.